We had a wonderful Christmas weekend. The highlight of my Christmas was that we did not go any where...no traveling for us. We were blessed to have my family (Mom, Dad, Brother and SIL) come to us!! We ate, went to church on Christmas Eve, played a game or two, watched Polar Express, ate some more, opened presents and just hung out and had fun. Shane put out cookies, a carrot (his idea), milk and a thank you note for Santa Christmas Eve night. The thank you note said "Thank you Santa for letting me have a camera." I asked him how he knew Santa was leaving him a camera. He said, "I asked Santa for one and he said okay." There ya have it folks, as simple as that. Good thing "Santa" had a camera all wrapped and ready to "leave" for Shane. Shane woke up at 5:30am and we got him back to bed until 6am. Not bad I'd say. His Sister on the other hand had one of her worse nights she has had in months. She was basically up until 3am and then awake for the morning at 6:30am. This was a tired Mommy on Christmas day. Shane opening up his present from Santa. Santa wraps his presents in pretty red wrapping paper. Yep, it was a camera. Adalyn checking out her loot from her stocking. Making a start at opening her present from Santa. Oh so quickly we get distracted when we are 13 months old. Yay! Santa brought me a box!! Wow...there is actually stuff inside the box...bonus! Don't you just wish you could squat while you did stuff! Man, this is a heavy present. Someone want to help me out over here. That girl is busy. She didn't take a nap until 11am on Christmas Day. After not sleeping most of the night because she is teething. Shane checking out his train whistle. Also, pictured with him is his new blanket. given to him by his Great Grandma. His whistle went with his train conductor overalls that he was dying for!! This is one happy kid. He wore them over his zip-up jammies (his first love) for two days straight. Thanks Aunt Claire, Uncle Joe, Carolyn and Meredith!! Adalyn got some new wheels for Christmas from Mommy and Daddy. The kids were blessed by all their wonderful family members that gave them gifts generously. We had a wonderful Christmas season and look forward to a fresh new year of 2012. Shane started receiving speech services in February of 2010. When he turned 3 in June of that year he was transferred from the non-profit organization we were working with to the local public school system. This first video was taken in September of 2010 when he started with his speech teacher at an elementary school near our house. This video was taken in May of 2011 when he ended that school year with Ms. Amber, who was also leaving the school district and moving to San Fransisco. I took that opportunity to request that Shane see the speech teacher at our neighborhood elementary school. Our request was granted!!! Which meant that we could walk to speech instead of a driving 20 minutes to and from speech. He made huge improvements during his year with Ms. Amber and continues to make more now this school year with Ms. Dana. I took this video of him "reading" Snowman, Snowman What Do You See. We made this book together and he was so proud of himself while "reading" it. It is also a great example of how far he has come in his speech over the last almost 2 years. We did our fair share of baking last week. Here are the cookies we made this year. I wish you could smell these even days later they still smell so yummy. This is my FAVORITE sugar cookie recipe. This recipe makes 60 cookies, so cutting it in half works, too. In a bowl mix together flour and baking powder and set aside. In another bowl blend together butter and sugar until smooth. Beat in eggs and vanilla. Divide dough into two halves, cover with plastic wrap, flatten with your hand, and refrigerate for 15 minutes. Roll out 1/4 of an inch thick and cut with cookie cutters. In a large pot heat sugar, molasses and spices to boiling over medium heat. Stir occasinally. Remove from heat and stir in baking soda (mixture will foam), stir in butter chunks until melted.With fork stir in egg then flour. Knead until thoroughly mixed. Roll dough just thinner then 1/4 inch. Bake 10-12 minutes (don't over bake!!). Next time I want to try dipping them in chocolate. Here are a few cute, simple, quick and easy Christmas crafts. If you need the kiddos to do something with those last few hours before the big day. Trace kiddos hands. Double up the paper and cut the hands out. You'll need about 15-20 hands (it depends on the size of the hand). Cut the inside circle out of a paper plate. Glue the hands to the front and back of the paper plate outer circle. You can decorate the wreath hands with stickers, buttons, sparkles, etc. I gave Shane various sized circles and asked him to make a snowman. He picked the circles and put them in place. Then added googly eyes, buttons, arms and some snowflakes. Paint a craft stick white. Use felt or paper to make a hat and scarf. Then embellish him as you would like. Thanks Gia and Misty for hosting a fun day of crafts!! I was awarded the Liebster Blog award this week by Katie at Playing With Words 365. Thanks Katie for the award. It means a lot to me! You ask what is the Liebster Blog Award? It's basically like a chain letter, but for blogs. The idea is to spread the love from one small blog (under 200 followers) to other small blogs. This helps to build community and readership. And really....who doesn't love winning an award?!? The origins of the award are hard to find. But I did find out that "liebster" in German means "dearest". As part of the Liebster award tradition, I am going to award 5 small blogs that are near and dear to my hear this award as well. 2. Nominate five other happy little blogs by posting a comment on their blogs. 4. Now you get to stop by and see what these up and coming blogs have to offer. Sweet Anna's -- My favorite place to get recipes. I love that Annalise's recipes are user friendly and great for families. If I need an idea for a dessert, dinner or an appetizer this is where I go. Throw in some stories about being a Mommy and you have one of my favorite daily reads. Teaching Good Eaters -- I stumbled onto this blog recently. We struggle daily with my 4 year old and food. I instantly got a ton of ideas after browsing this blog. I fell in love with the Food Adventure ideas, along with all the great advice on working with kiddos to be good eaters. He Sows, She Sews -- I first visited this blog because of Gretchen's I'm blessed series. I fell in love with her stories and pictures from there. Life as This Mommy knows It -- It's not hard for me to love your blog if you have anything to do with photography. I just read a post by Brenna about editing and it blew my mind away. My Home School Tale -- I'm always on the look out for fun, crafty and educational things to do at home with Shane (and eventually Adalyn). Andrea has lots of fun post covering all those topics. 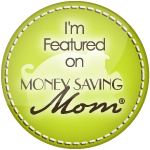 Swing on over to Money Saving Mom and check out my guest post today. If you need a last minute gift for a neighbor or a friend. Maybe a stocking stuffer or you just want to be crafty. This hot chocolate card kit might just do the trick. I am in LOVE with these quick and adorable Christmas ornaments. I found them here and just knew we needed to make them. embellishments (jewels, puffs balls, sparkles, pipe cleaners, wiggly eyes, buttons, glitter, etc). Those reindeer just make me smile. After making my felt snowman kit, I felt inspired to make a felt Christmas tree kit. I saw a Christmas tree busy bag that had the buttons on it, so I started there. Then I added some extras for decorating. Shane really enjoyed decorating his tree. I discovered this afterward, which would be a great addition to the felt tree kit, too. Saturday -- Christmas Eve dinner will be party style. We'll have veggies/dip, cheese/meats/crackers, olives, etc for us to nibble through out the evening. Along with all the millions of cookies we baked last week. Plus, hot chocolate, apple cider and may be a few surprises, too. Wishing you a fabulous week before Christmas!! Shane had his Preschool Christmas Performance Friday morning. He was all decked out in his Christmas outfit (which he would wear every day if he could). He had been practicing his songs and "moves", but was super anxious about the "changes" to the day. We went over so many times what was going to happen and he still cried until he saw us sitting in the church waiting for him. His Teachers are so kind and caring with him. Two of them came up to him after the performance and told him how great he did and encouraged him. He doesn't mind the performing part, it the it's different then a normal day and there are lots of people part. But as soon as his eyes saw us he was all good. My attempt at getting a picture of Adalyn. She was overdue for a nap. May just be my favorite picture of the day. Video from the performance, too. We made these cards for my Christmas Card Workshop this year. For some reason I think these cards are just striking. We used Holiday Cheer and A Holiday for the two stamps sets. Plus a little ribbon, bitty sparkles and card stock. The Art Philospophy Cricut Cartridge from Close To My Heart helped a lot, too. It cut the holly leaves, holly berries and happy holiday shape out. I just love that cartridge!!! Recently Along for the Ride hosted a huge giveaway day. I was one of the lucky winners! It's so fun to win. I got a $20 gift certificate to Sweet November's Shop. What fun I had loading up on all of her cute stuff. Sara was so sweet and sent me some of her new products, too. I was super excited to receive these cute hair clips. Adalyn has crazy hair that is in her eyes if I don't pull it back. I am always on the hunt for clips that stay in her hair and these TOTALLY fit the bill. I didn't have to fix constantly like I do with lots of her other barrettes. These stayed put! I think the sparkly silver clip is my favorite. It goes with everything and just adds a little bling. We also got this super sweet onesie with a heart sew on the front. I love it under this sweater she got for her birthday. I want to find this sweater in MY size. Sara's Sweet November shop has necklaces, hair accessories, earrings and more. Menu Monday + Linky Party! !